I am usually against specifying a day to honor a person or a concept, unless it doesn't imply neglect and carelessness during the rest of the year. 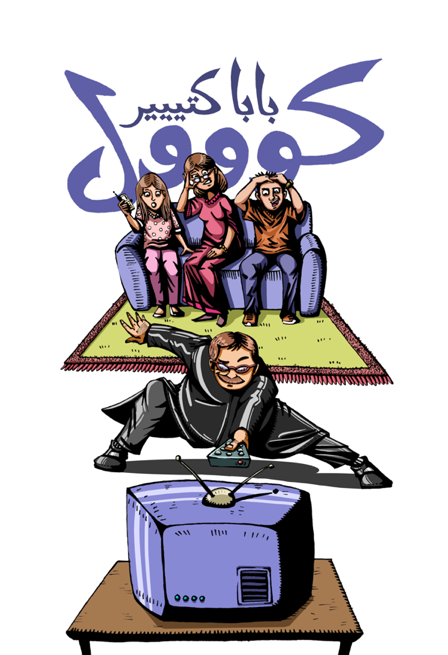 Rafic Saab, an illustrator and animator, graduated from AUB with a BFA in Graphic Design in 2009. His humorous character is manifested in many of his work. His t-shirt / postcard series is a main example. 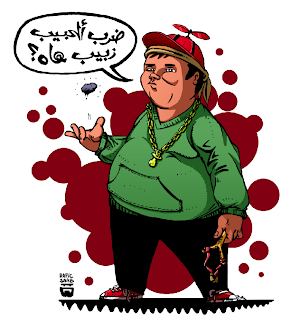 He chooses a proverb, a saying, or a common Arabic phrase and reflects or subverts it in an illustration. His first set was exhibited with FLUKS in the form of posters at Obros Café, Clemenceau, Beirut, and later exhibited and sold at Café Younes, Hamra. After the positive feedback from everyone, he carried on with the project. 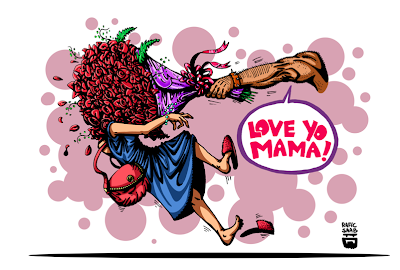 Last Mother's Day, he did two postcards that I was against at first "It's Mother's Day. Why won't you show more love?" I told him. But his mom loved them. This was his way of expressing himself. It is his character. Why be someone else for the sake of the day? As for today, the 21st of June, he illustrated two other postcards for Father's Day. The first says "بابا كتير كول" which translates to "My dad is so cool." The second reads "بابا غنوج" which has a play on words. 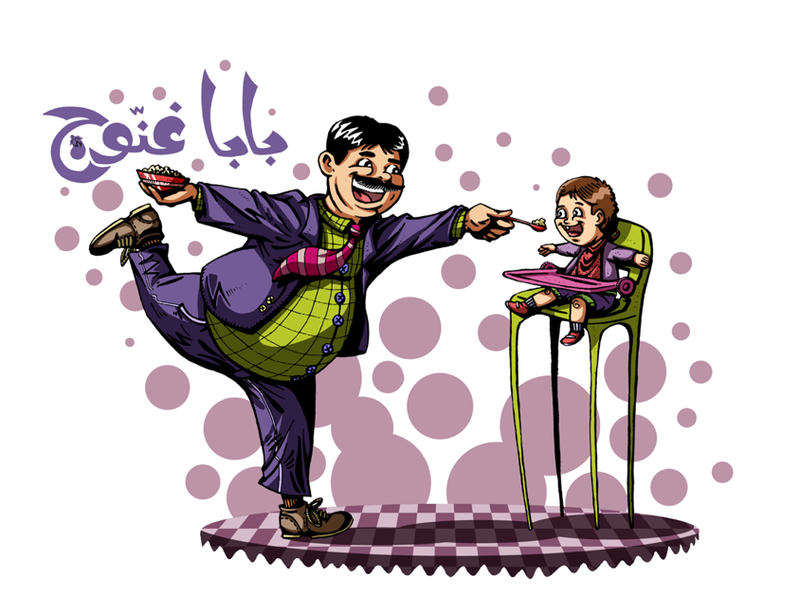 In Arabic, "بابا غنوج" is the name of a famous Lebanese appetizer "Baba Ghannouch" (متبل باذنجان) but is also translated literally to "My Dad has a coquettish behaviour." You can find these postcards at Café Younes (Hamra Branch), 3ind Riad (next to Blue Building, Hamra), and I Gift (Bliss street).